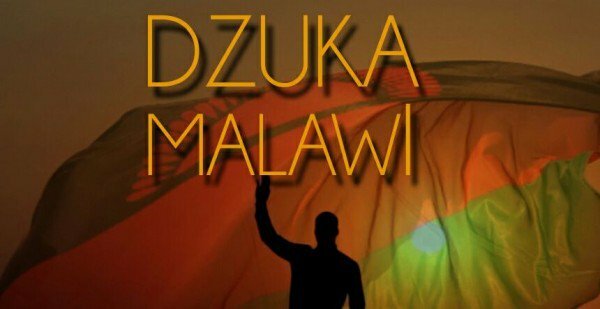 Sadly, many decades after that bold Kamuzu move, Malawians have failed to prosper—poverty still stalks the majority of our people and only a few of them are meaningful players in the vital sectors of our economy. What Kamuzu feared has now metastasized into a large behemoth— foreign businesses with cheap imports and shady practises have been given the free reign to push locals out of business, they externalize foreign currency, they hardly ever invest in tangible in-country infrastructure, they pay the locals slave wages, they dodge paying taxes, and they leave Malawi much poorer than they found it. The odds are stacked against Malawians in favour of Asian and, lately, the Chinese. They are also been joined by larg companies linked to our traditional Western ‘donors’, who dominate mega multi-million deals in construction, infrastructure development and elsewhere. To point this out is not being irrational, unnecessarily militant or even hateful. It’s not even to malign the people of these nationalities as a problem. It’s about the system we have in place that allow for this to happen. It is a system that should be disrupted. I don’t know of a country that has had its people prosper without being deliberately purposed in strategy; first to allow local people effectively participate in the most critical parts in the economy and, second, by inviting genuine investors to participate alongside the locals. Yet none of our leaders have been the required brave to stop this bleeding. Zimbabwe has indigenisation and economic empowerment laws, South Africa has them, as does Botswana. Trump has America First! To fix this, a brave leadership is required to drive a cocktail of laws, advocacy and structural adjustment. We need an affirmative action system deliberately designed to find Malawian businesses and individuals, facilitate them with opportunities to prosper, and monitor their progress. Otherwise a deeply disturbing possibility presents itself: if nothing is done, at some point, the people are going to have to liberate themselves from this oppressive system, whether government is with them in it or not. Malawians are no more incapable of participating in this economy than anyone else. We have got to challenge this notion that some race or nationality is intrinsically superior at doing business, or participating in the economy of our own country, than the indigenous people of this country. Too many people easily and readily assume this warped reason to be true—without understanding the context of our lives—yet it is more complicated than that. It is morally reprehensible to have a system that relegates its own people into bystanders when others can come in to manipulate our economy and milk our country dry. Many are guilty of funnelling money made in Malawi quickly out of Malawi. It boggles the mind why our leaders have not seen this as an existential threat to the country. What is worse is that the individuals and institutions ripping Malawi off often act in cohorts with none other than powerful politicians—ministers and their sidekicks—whose allegiance should be to country first, but alas! While a system that seeks to keep Malawians in perpetual servitude needs to be interrupted, it is clear that it won’t go down without a fight.